At AVMC, we understand that surgery can be a cause for worry. You care about your pet and do not want to see them undergo a traumatic experience. We care as much as you do and can assure you that only the highest level of care is provided with the latest knowledge in pain management, surgical technique and technology to ensure safe and comfortable outcomes. Our doctor performs surgery on Tuesdays and Thursdays. 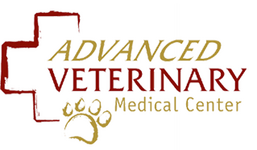 From elective surgeries such as a spay, neuter, or declaw to mass removals and abdominal procedures, we perform a variety of surgeries at Advanced Veterinary Medical Center. We are proud to offer LASER TECHNOLOGY for all surgeries. This is the latest in surgical technology that seals blood vessels, nerve endings and lymphatics as it cuts through tissue. This decreases pain, bleeding and swelling for the patient. The recovery is faster and less painful for your pet. All of our patients are monitored by one of our licensed technicians and sophisticated equipment that monitors pulse rate, respiration, oxygen level in the blood, and body temperature. The surgical team monitors the anesthetic level and comfort of the patient from the induction of anesthetic to the recovery of the patient post-surgically. We are proactive with pain management and always treat post surgically with a Therapy Laser to speed recovery. Customers value the clinical benefits of laser surgery for veterinary care. Laser surgery is recognized in human and veterinary medicine for its benefits to both patient and surgeon. While several types of lasers are used for different applications, the primary device for soft tissue surgery in small and mixed animal practices is a carbon dioxide laser. The CO2 laser beam cauterizes and seals small blood vessels as it cuts. This laser energy achieves hemostasis and provides the surgeon with a bloodless surgical field in most procedures. As a result of all of the above, laser surgery provides the benefit your clients will appreciate the most: a quicker recovery for their pet.